The wait is finally over and Startups.co.uk can now reveal the winning businesses to have made the 2014 Startups 100 index – the definitive list of the UK’s 100 most exciting and innovative new companies launched in the last three years. Now in its fifth year, the Startups 100 seeks to identify – from hundreds of detailed entries and research that considered hundreds more – the early-stage companies with the biggest growth potential. The annual ranking recorded record average turnover and employee numbers across the index, demonstrating the importance of trailblazers to the economy. Taking the prestigious number one spot is advertising technology company Captify Media, which leapt five positions from sixth in 2013. With fabulous revenue growth, a highly desirable client portfolio, and having built a team of 40 staff in under three years, Captify pipped Startups Award winning “going out” app YPlan to the top position. Online recipe box delivery service Hello Fresh, mobile marketing platform Senscraft and fellow ad technology firm Adzuna complete an outstanding top five. To qualify for the Startups 100, businesses have to be privately owned and UK-based, and this year the index saw more applications than ever before. Celebrating businesses from a range of industries including retail, food, technology, and fashion, the 2014 list boasts 62 brand new entries. The highest placed new entry is sixth-placed international payments service The Currency Cloud, with discount sports goods platform SportPursuit making the top 10. Consultancy Gate One and “guilt-free” popcorn company PROPERCORN were also high-placed new additions, with top 20 placings. This year’s Startup 100 also comprises its highest number of businesses from Wales and Scotland, such as “funky, fresh” hotel venue Hammet House, and top 10-listed Aberdeen-based Maritime Assurance and Consulting, among those featuring. 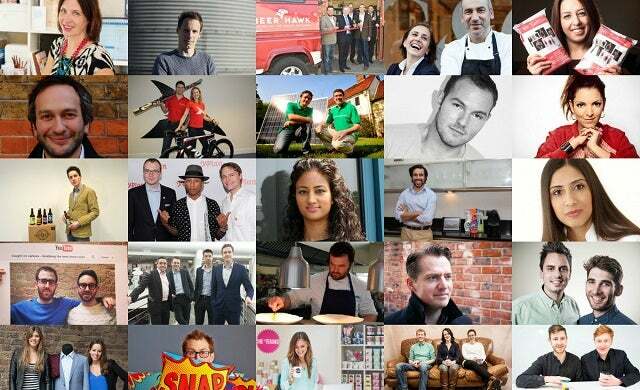 The 2014 Startups 100 will build on the success of the Startups 100 alumni with many previous winners having scaled to become industry leading businesses such as Zoopla, Huddle, and last year’s overall winner My Parcel Delivery. To view the full list of the 2014 Startups 100, click here.